We certainly find that being involved in the wider SAS community is valuable for us both personally and professionally. 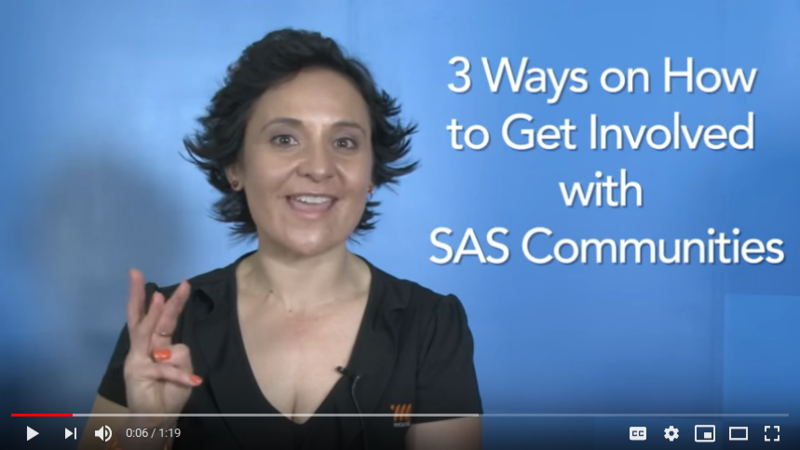 Here are a few tips from Michelle if you’d like to get more involved with the SAS community online at communities.sas.com. Let’s continue to bolster our local Australian SAS community and make your vote count! P.S. By filling in the survey, you’ll go in the running for one of four Google Home Hubs! P.P.S Don’t forget to share the survey with your colleagues and networks, so they can also have their say. 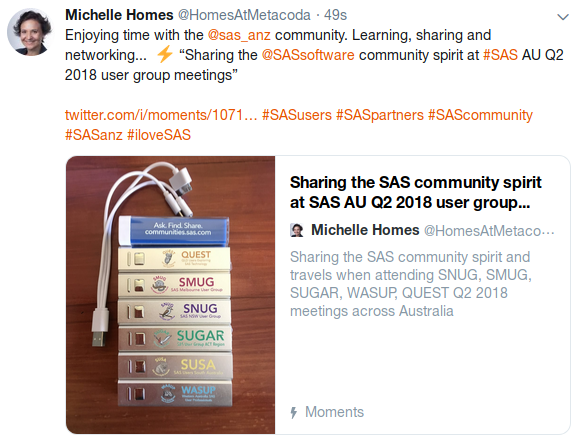 Michelle was lucky enough to attend nearly all the Australian SAS user group meetings during November and December (apart from Adelaide – sorry SUSA!) and was encouraged by the atmosphere and enthusiasm at the events. Such wonderful opportunities to connect with others, exchange views, and learn more about how SAS software is being used! Machine Learning for Safety by Peter Condon, Western Power. 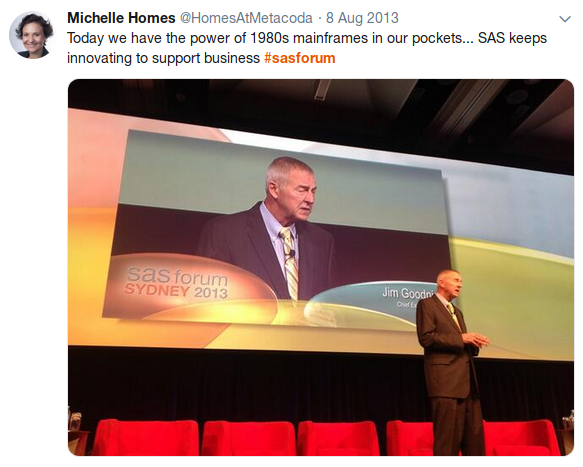 I agree Michelle – it would be great to bring back the SAS Australia Forum. It would also be great to make the Australian user group meet ups quarterly again. This would allow everyone to connect more frequently and build relationships.